A spinning reel is a tool installed in a fishing rod during recreational angling. Just like the fishing rods, spinning reels have also gone through a drastic change in its construction. It was constructed to use artificial baits commonly known as fishing lures. It was used mainly for handling lightweight baits which were difficult to use in baitcasting reels. It also doesn’t go through backlash. Slowly but steadily spinning reel has become an excellent alternative to the baitcasting reels. A spinning reel is perfect for beginners and efficiently handles lightweight lures. The casting accuracy, smooth retrieve of the lines, good hold on the bait taken by the fish, very much depend on the performance of the spinning reels. So, to enjoy and have a good experience during angling, a good fishing reel is required along with a good spinning rod and line. A spinning reel might seem to be just a small device, but it requires some serious precision while constructing its different parts. They are available in a wide price range. There are some expensive spinning reels available in the market. But a good quality spinning reel doesn’t have to be overpriced. 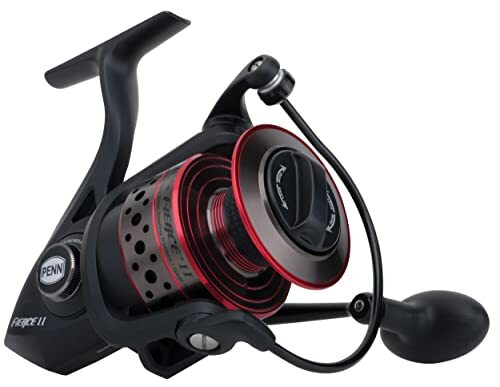 An affordable and medium priced spinning reel can perform equally well during angling if constructed with precision and made of quality material. 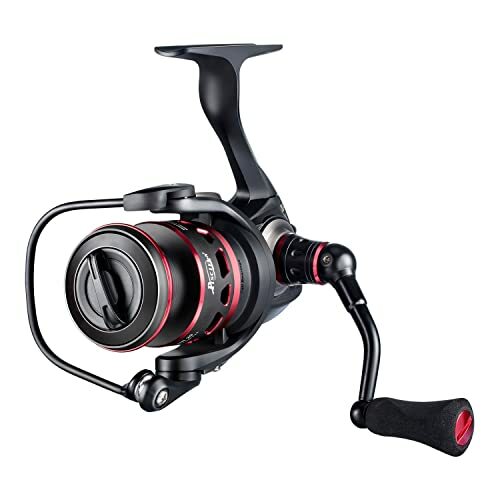 Therefore, we are going to review some of the best spinning reels under 100. 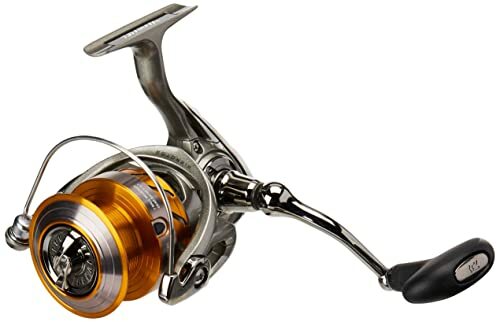 Depending on the accurate casting and overall performance of these spinning reels during angling and high-quality product at an affordable price, below is our review of 10 best spinning reels under 100. Penn battle II ensures high performance and exceptional durability. Its body, side plates and, the rotor is made of high-quality metal. Its bail wire is made of heavy-duty aluminum. The bail wire can be smoothly operated during toughest of the anglings. Its high tech carbon drag system ensures smooth drag and equally smooth retrieve while casting long distance and heavy fish angling. The spool with capacity rings gives a clear idea on how much of the line has already been used and how much is remaining. It might seem to be a simple feature, but it proves to be very useful at some crucial points. It provides 4 shielded stainless ball bearings and one instant anti-reverse bearing for corrosion protection. Saltwater gets crystallized in the inner parts of the reel which hampers the smooth rotation and starts creating noise. The shielded ball bearings help to prevent the water intrusion and provide smooth rotation. Penn battle II spinning fishing reel offers a one year warranty. Penn has quite a few spinning reels under 100 and Penn Spinfisher is one of them. 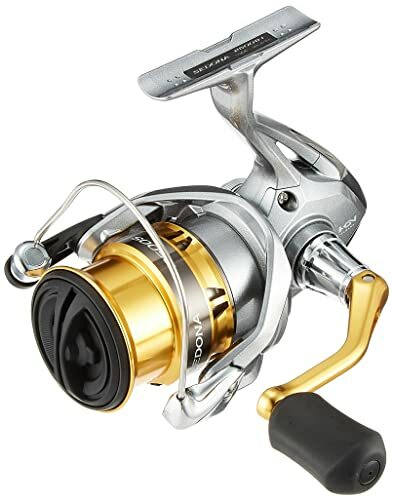 Every Penn spinning reel is very similar to each other regarding some of the features yet has some very different features which are exclusively found in that one specific spinning reel. Similar to the previous spinning reel, this one also has a metal body, side plates, and rotor. But it also has used Techno-balanced rotor for smooth and even retrieve. It can be used during vigorous surf and spray fishing techniques. It is a watertight spinning reel which is specifically designed for saltwater and sandy environment. It has a sealed drag system for easily accessible and adjustable drags and no water intrusion. It has used friction trip ramp to prevent the bail wire slip while casting. It provides 5 shielded stainless steel ball bearings including one instant anti-reverse bearing and the spool has rings marked on it to gauge the line capacity. This is another lightweight Penn spinning reel. 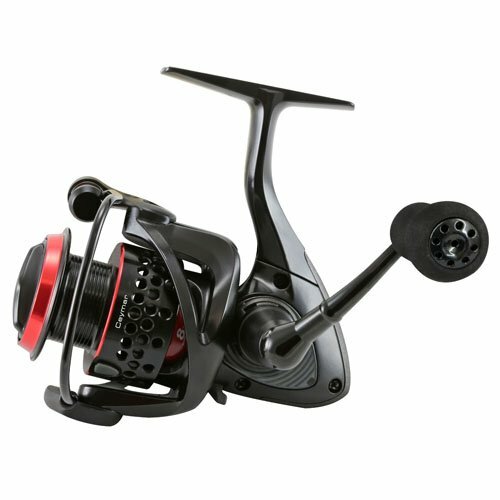 Its corrosion resistant graphite body has aluminum side plate, graphite rotor, and anodized machined spool. Like all other Penn fishing reels, this one also has line capacity rings marked on it. It has an ergonomic handle which ensures maximum comfort. Drag system ensures smooth and even drag with absolute drag pressure during long distance casting. It also has the right balance. The drag can be quickly adjusted. The lines do not get twisted while dragging, also has smooth retrieve and gives a good fight with even the largest fish. The shielded ball bearings are very important for saltwater fishing. It has 4+1 shielded stainless steel ball bearings. But for more durability rinse it well in fresh water after saltwater use. This increases the shelf life of every anti-corrosion product. It works fine for left-handers as the handle is switchable. It is braided ready which helps to prevent lines from slipping. 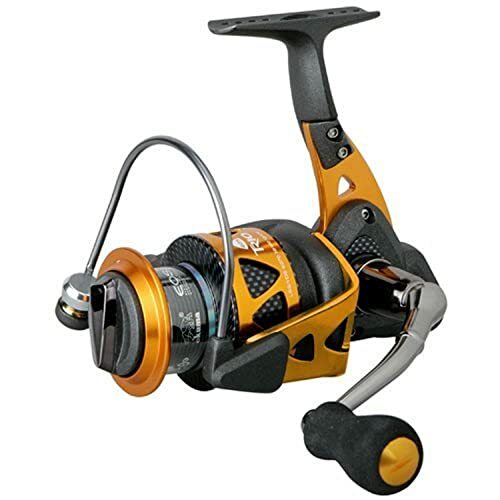 This black-orange combo, high-speed gearing hybrid spinning reel is designed and constructed with integrated graphite and stamped aluminum stem. This crossover of graphite and aluminum stem ensures strength where required and reduce weight wherever possible. This spinning reel is very lightweight, smooth, sturdy and durable than other spinning reels. It casts strongly, accurately and a long distance. It has a stable reel stem system (SRS) which provides accurate gear alignment and reduce reel weight. Its rotor arms are also of aluminum and graphite hybrid. It has a simple adjustable oiled felt aluminum drag chamber system for smooth and stable dragging. It also features Dual Force Drag System which provides even drag pressure on both sides of the spool. The drag is water resistant. It has 10 stainless steel ball bearings and an anti-reverse bearing. It has a good finish and is corrosion resistant. It can be used in freshwater as well as saltwater fishing. 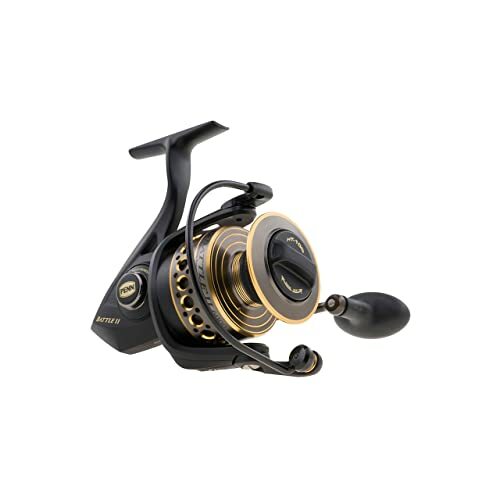 Penn Fierce II is a durable, high-performance spinning reel which is made for both fresh and saltwater. The Techno-balanced rotor arms with solid metal body and side plates ensure a firm grasp and smooth rotation. It comes with 4 shielded stainless steel ball bearings which have a nice and quiet action. It casts smooth and a long distance. The drag can be easily adjusted in toughest of the fights making angling exciting and easy. The Superline spool has a rubber strip and like all other Penn reels, has line capacity rings marked to detect how much line is used or left to be used. This spinning reel is designed for braided fishing line. It might be light for angling chinook and shark but works perfectly for salmon, catfishing, steelhead fishing, Bream, Perch, Snapper, Mackerel, and other freshwater fishes. It is water resistant but for better durability its apt to thoroughly rinse it with fresh water after every saltwater use. It can be easily re-assembled for left-hand users. Another one in our spinning reels under 100 list is Okuma Ceymar. 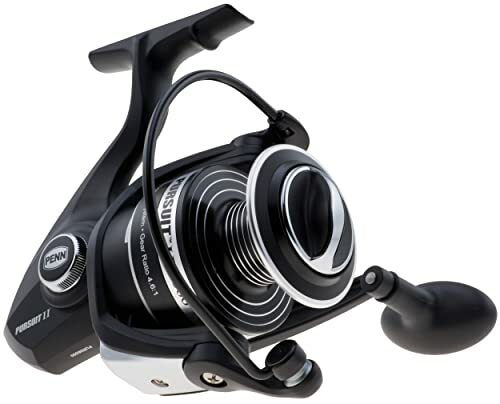 Okuma is known for their high-quality spinning reels at an affordable price. This one is a black and red color combo, lightweight and compact spinning reel. Its multi-disc drag system ensures smooth and even drag with a right amount of drag pressure. Another feature which is commonly used in almost every Okuma spinning reel is their Precision machine cut brass pinion gear. Its blade body design helps to reduce the overall size of the reel and make it compact, easy to pack during travel. It is anti-corrosion, therefore, can be vigorously used during saltwater fishing. It has total 8 ball bearings among them 7 are stainless steel ball bearings and the remaining one is a roller bearing. It has an anti-reverse roller bearing. Almost all the Okuma spinning reels are backed by one-year lifetime warranty and this spinning reel also has one. Daiwa Revros spinning reel is lightweight and has a composite body. The body cover and rotor arms are also made of high-quality components. It has a T-handle and has a comfortable hold. The popular Digigear design of Daiwa ensures all the power created through the cranking transfers straight to the rotors. This ensures maximum performance and tolerance. Another feature by Daiwa is their Air Rotor technology. The Air Rotor technology used in the reel makes it lightweight and the arched structure of the rotor evenly spreads the pressure. Air Rotor also ensures greater sensitivity. It casts smooth and covers a reasonable distance. It has 8 bearing system which includes 7 ball bearings and one roller bearing. This ensures smooth rotation of the aluminum spool. The ABS Aluminum spool also reduces the chances of the fishing line getting twisted and having unwanted knots. The T handle can be switched to either side of the reel body making it handy for left-handers. OKUMA Inspira is made of high-quality material and has a carbon fiber frame which makes it very lightweight but sturdy and durable. It works fine in freshwater also in extreme saltwater fishing. It has used the Cyclonic Flow Rotor System which lessens water seeping in the spool system by drying the water fast through even and escalated air flow. This technique prevents corrosion from saltwater intrusion. Its Torsion Control Armor design is a unique technique to reduce sudden twists and flexes and ensure smooth retrieving by keeping all the inner parts in line even with a large fish held on the hook. The gear used in this reel is precision machine cut brass pinion gear and it has also used precision elliptical gear system. The well-balanced bail wire is made of heavy-duty aluminum and operates smoothly. The ball bearings used in it are made of stainless steel and they are anti-corrosion. It has high-quality EVA handle. This spinning reel is backed by a 1-year lifetime warranty. Piscifun Honor is robust as well as a lightweight ultra smooth spinning reel. Its high-strength graphite body with the water-resistant sealed system makes it perfect for vigorous saltwater fishing. It prevents water, sand or any other particle getting inside the reel. It has a sturdy aluminum reinforced graphite body which ensures sturdiness and longevity. EVA handle provides a comfortable hold for an extended period. The handle can be installed quickly to either side of the reel. It has two stainless steel drag washers and a carbon fiber drag washer in between them for smooth and even drags. The carbon fiber drag also helps to prevent lines break off. It has a deep large capacity spool which is braided ready so that the braid lines doesn’t slip. It has 10 stainless steel ball bearings with a roller bearing for smooth casts and retrieves. The ball bearings are double sealed which makes it corrosion resistant as water intrusion is not possible. 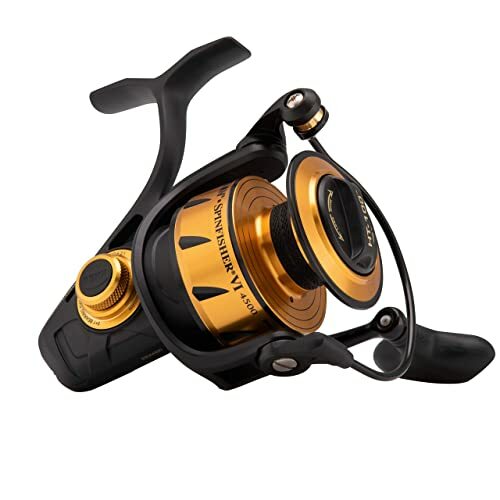 Shimano Sedona FI is one of the technologically rich spinning reels under 100. Some eccentric technologies have been used to construct this good looking silver and gold combo spinning reel. Shimano’s trademark technology known as Hagane Gears. G Free Body Technology is used in this spinning reel to increase smoothness and for long lasting, durable, fatigue-free performance. Hagane Gearings is used only in Shimano’s high-end reels. It has 3 ball bearings and one roller bearing. The drag system is smooth and doesn’t include an anti-reverse lever. The machine cut spool ensures increased line capacity without making the reel bulky. It has used the propulsion line management system to avoid wind knots during long distance casting. The casting is smooth and has no backlash during a long cast. It is available in quite a few sizes which makes it versatile for any angling from light freshwater to offshore saltwater. As our review on the best spinning reels under 100 completes, it needs to be mentioned that searching for them was not easy. Finding a quality product at a reasonable and affordable price is difficult. It requires a lot of time and precise estimation. Nonetheless, we successfully found some spinning reels and tried to make an informative list. Apart from the common ones, each of this spinning reel has one or two such features which can be expected only in higher-end spinning reels. 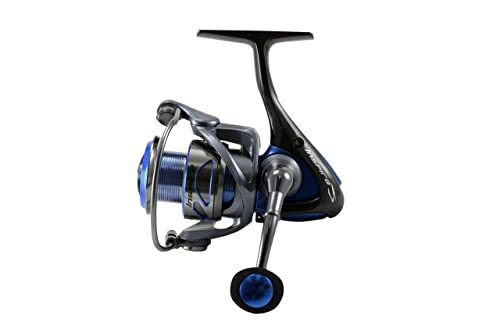 The above reels are some of the best quality spinning reels which can be bought by any newbie to high-end users or those who are tight on budget. All of them are good alternatives to pricey spinning reels, slightly better in some cases. If you are tight on budget or can spend any amount under 100 for a spinning reel, then have a look on our review. Hopefully, our analysis will be informative enough to help during your spinning reel shopping. 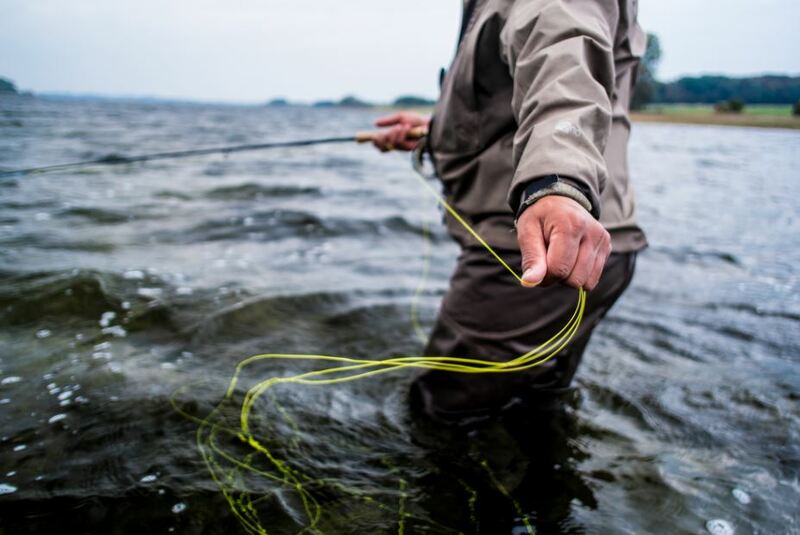 The 10 Best Fluorocarbon Fishing Line in 2019 – Ultimate Reviews A huge number of people are into fishing today.